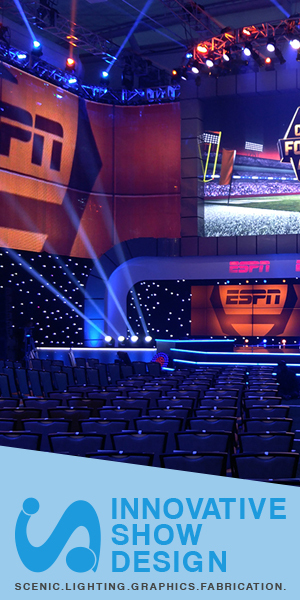 Here’s a quick look at some creative ways NBC’s “Today” has been used its video wall. 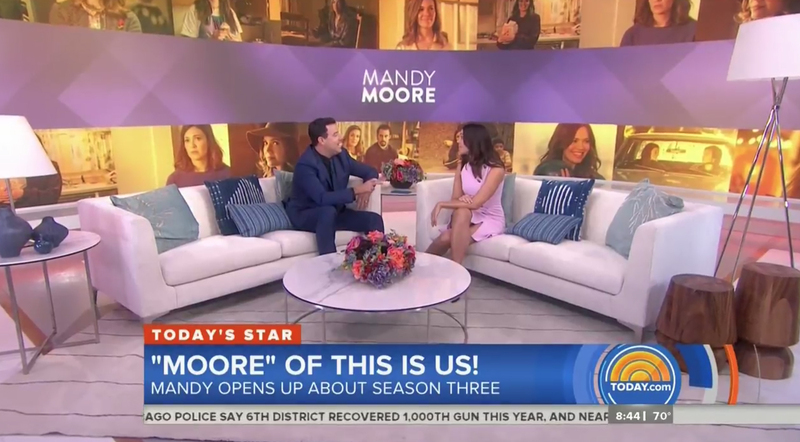 The scrolling animation and angular texture in the violet strip proved a bit dizzying as the show slowly zoomed in on the wide shot of Moore and Carson Daly seated on two large sofas. 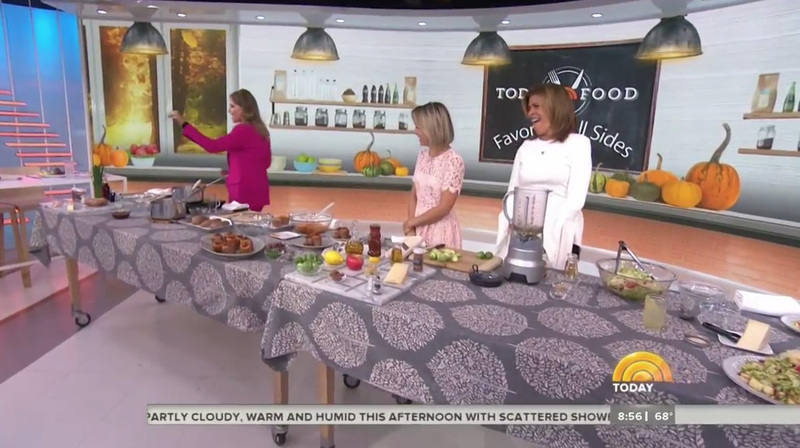 Also included were pumpkins and gourds along with virtual shelves of spices and other ingredients as well as a faux window. 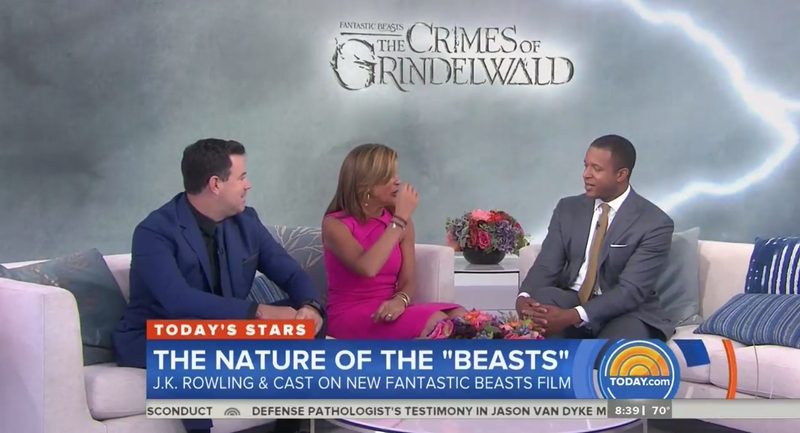 Also Tuesday, for a segment on the Harry Potter-inspired film “The Grimes of Grindewald,” a dreary cloudy background was shown behind hosts Daly, Hoda Kotb and Craig Melvin — complete with dramatic lighting bursts that appeared periodically.